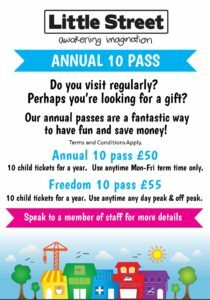 Book 10 child spaces for the price of 8 on any 15:30-17:00 session Monday – Friday throughout the summer holidays. Discount is available at all venues but can only be booked by telephone. Terms and conditions apply. Maidstone Little Street opens today! 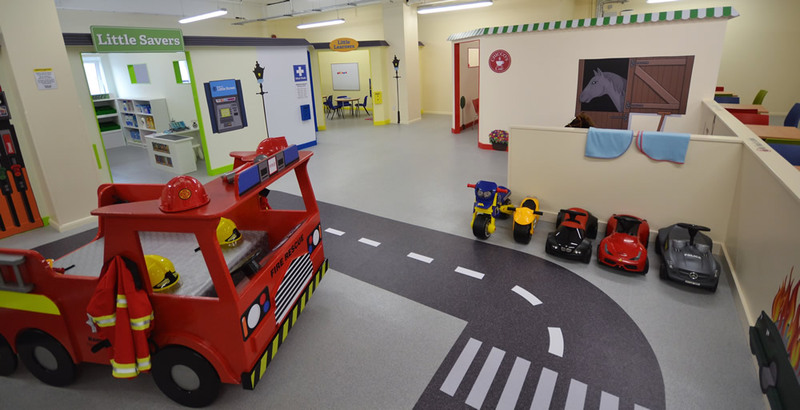 We are thrilled to announce that Little Street are opening two further play centres this year. Maidstone will open in March 2017 and West Byfleet shortly after. Watch this space for more details. Personalised Little Street gift vouchers are available for birthdays and Christmas. Collection from Frimley or as an e-voucher. Email heidi@little-street.co.uk for details. We are running French classes for 4-7 year olds starting 15:30-17:00 on Wednesday 21st September 2016. The class includes a 30 minute French lesson, 60 minutes free play and a drink and snack. 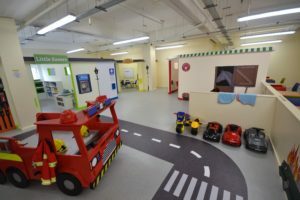 Sessions are £10 per child. 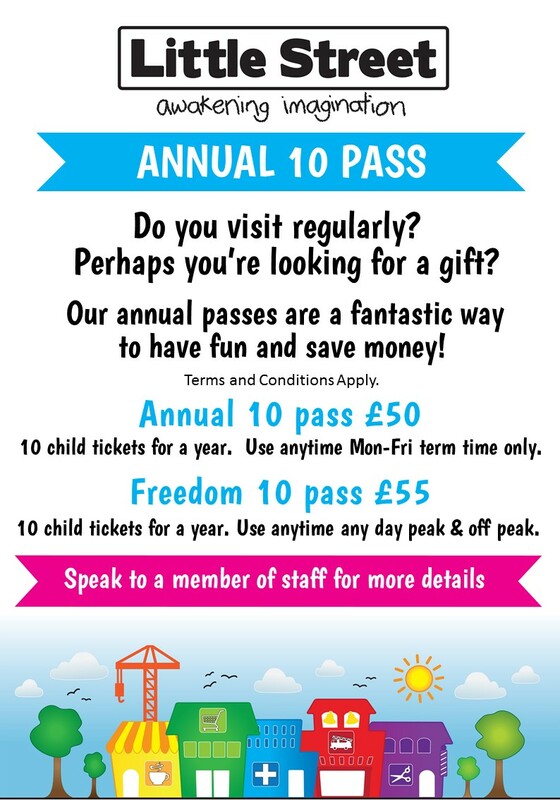 We are pleased to offer a new Annual Pass for regular visitors to Little Street. For more information please call 01276 423100 or speak to a member of staff onsite. Terms & Conditions Apply.